It doesn’t always work. McDonagh is far more comfortable with blunt force exchanges than the more tender moments. As a result, “Three Billboards” often feels well-intentioned but rough around the edges. McDormand is tremendous, as are Harrelson and Rockwell, and their conviction helps the creakier elements land. But even though you sometimes get the feeling that McDonagh is out of his comfort zone, the film has a kind of lived-in charm that is hard to resist. He nails small town Americana (it was filmed in the mountains of North Carolina, which has been my home for half my life now), and even manages to end on a note of hope. 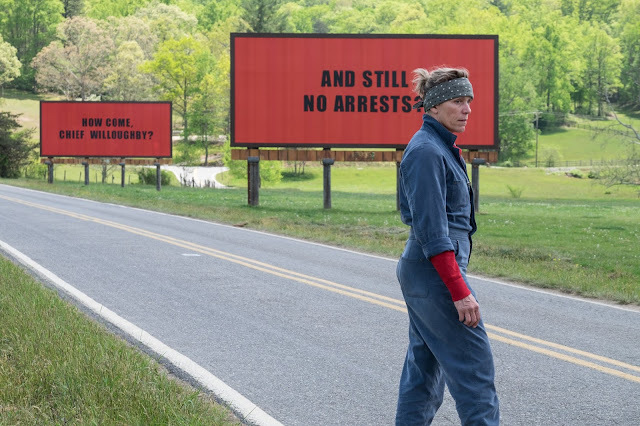 THREE BILLBOARDS OUTSIDE EBBING, MISSOURI is now playing in theaters everywhere.